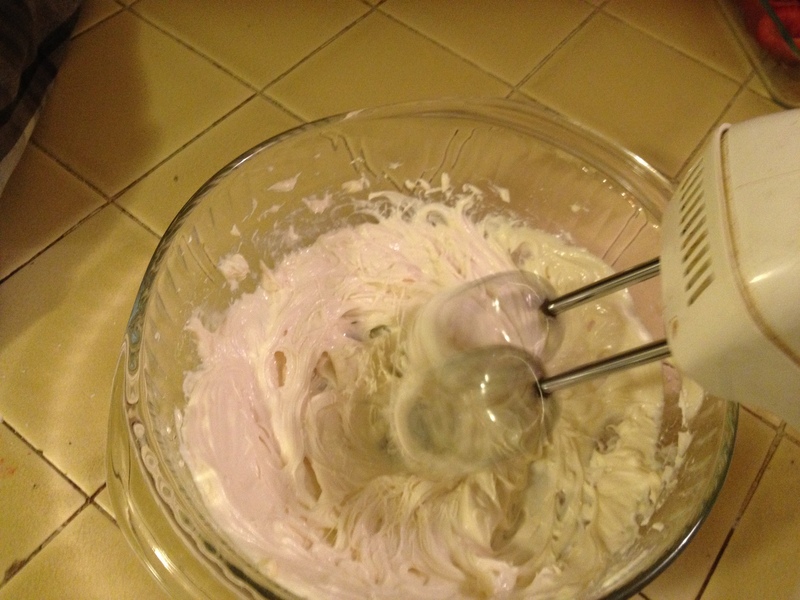 I got this awesome recipe from my co-worker and I had just had to try it. 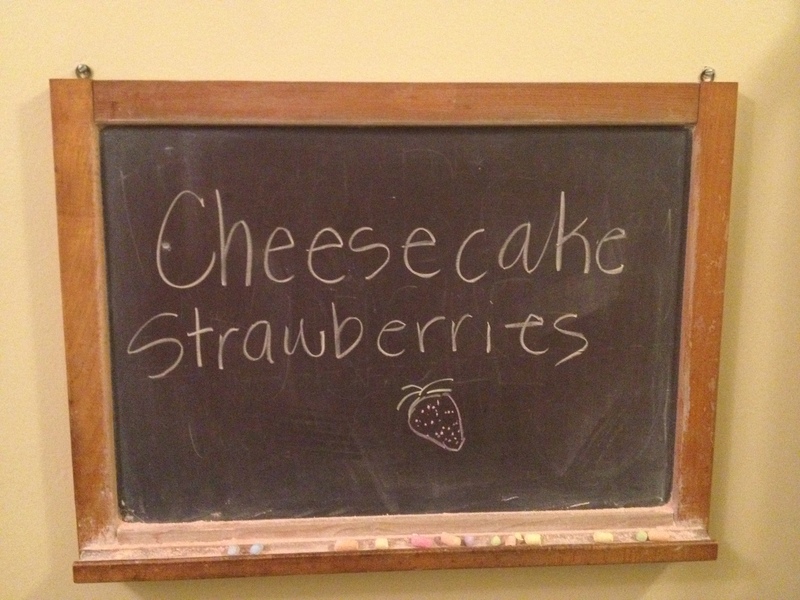 It was easy and delicious! 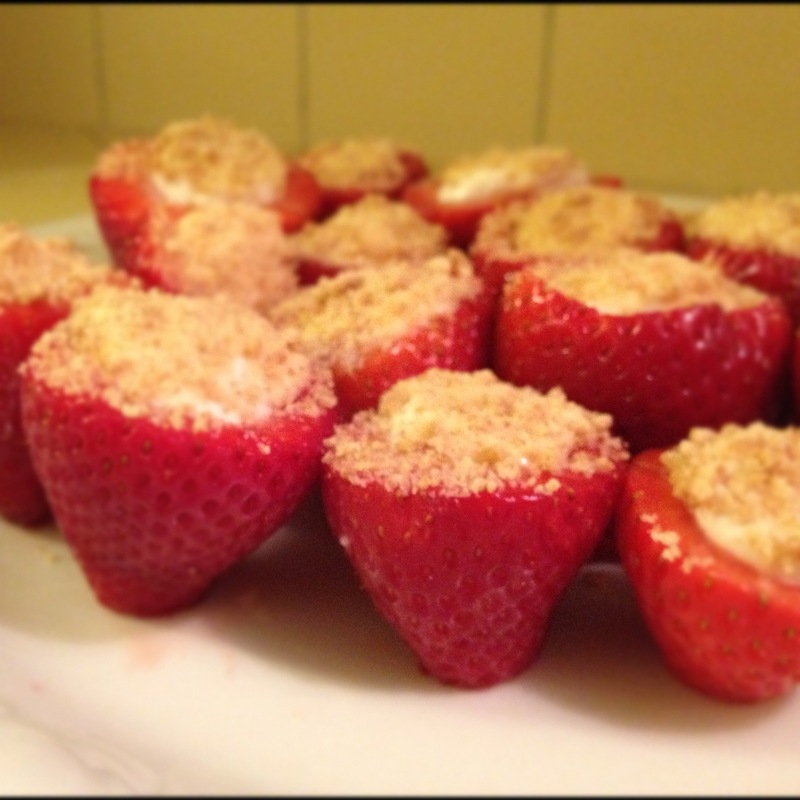 The players…Strawberries, cream cheese, powered sugar, vanilla and graham crackers. 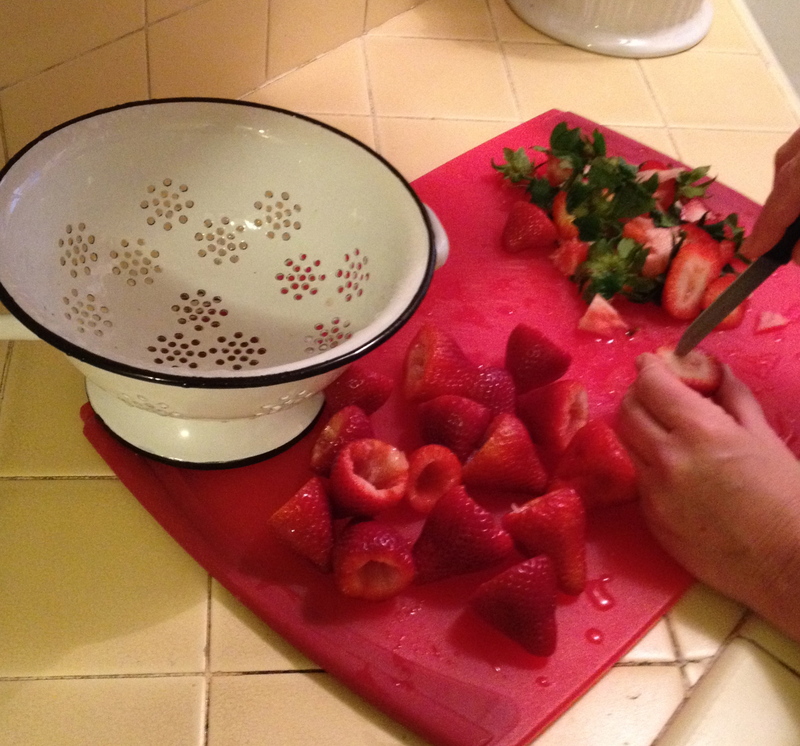 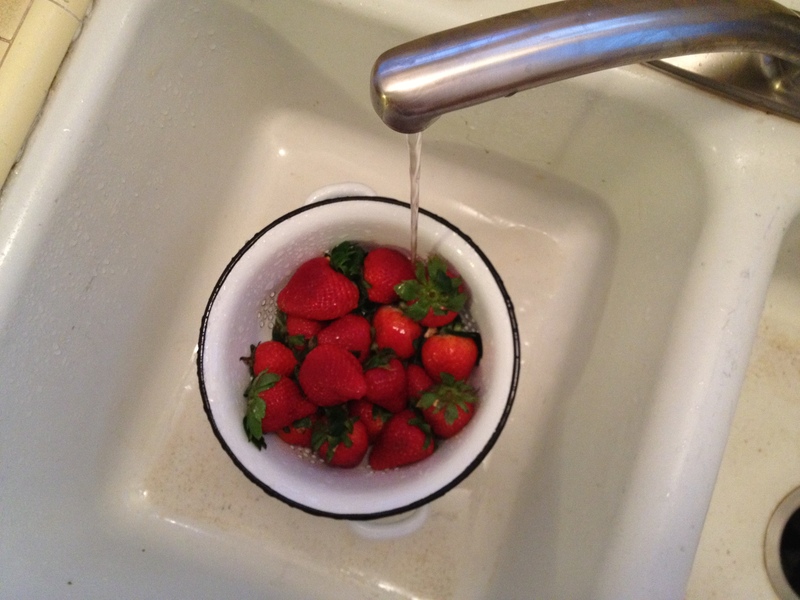 Remove top of strawberry and clean with a paring knife. 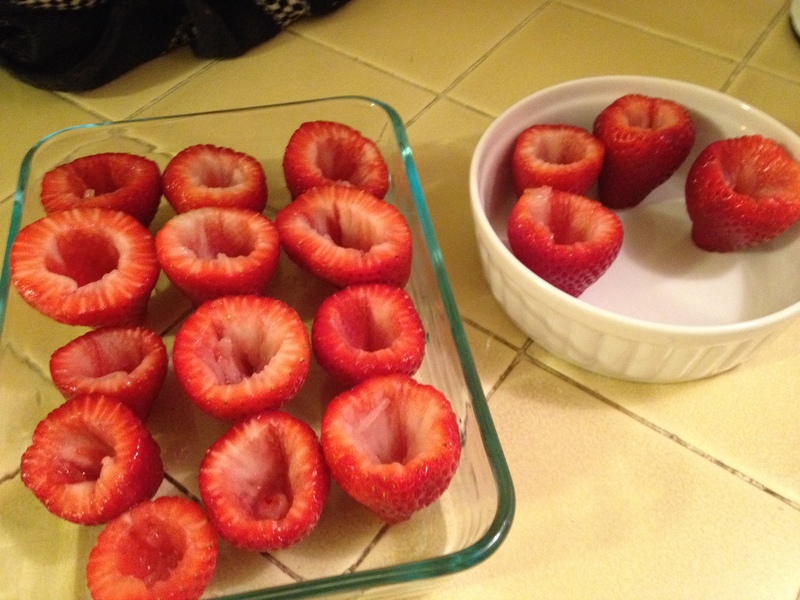 I like to cut a tiny bit of the bottom off so they stand up nicely. 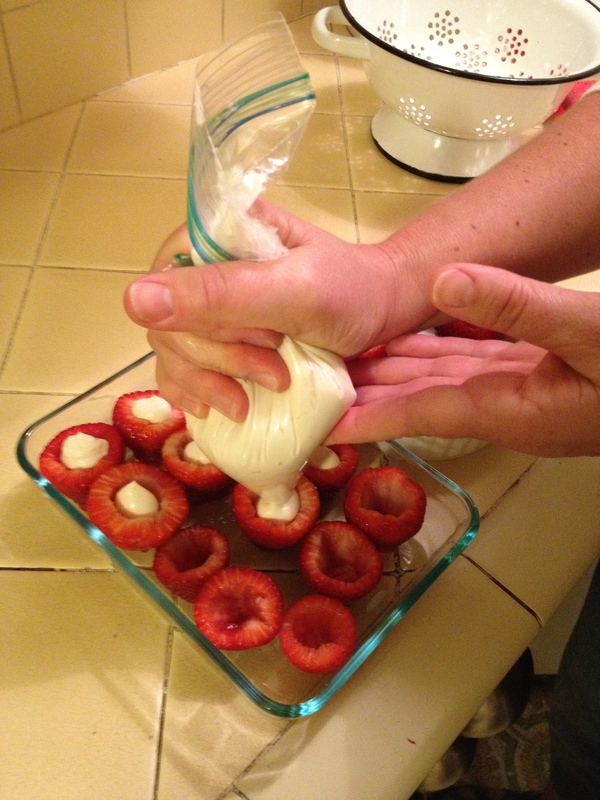 Put the cream cheese mixture in a piping bag and fill your strawberries. 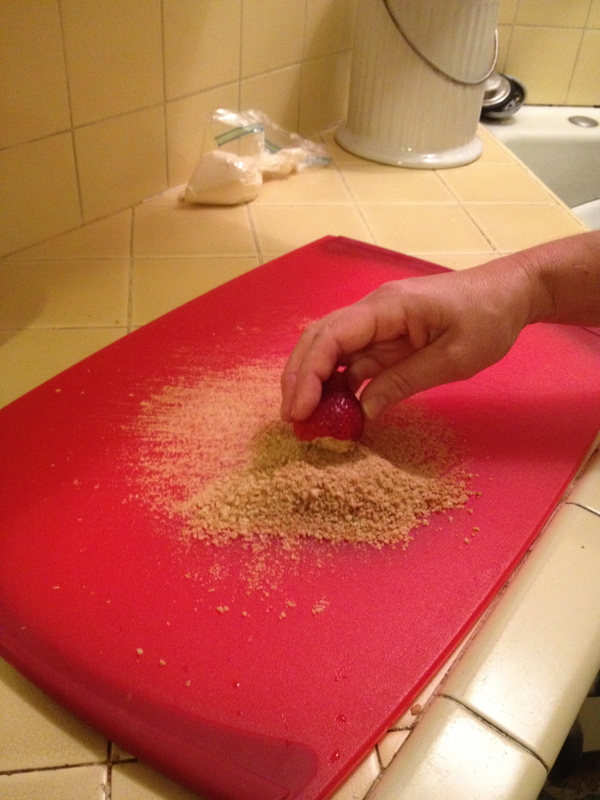 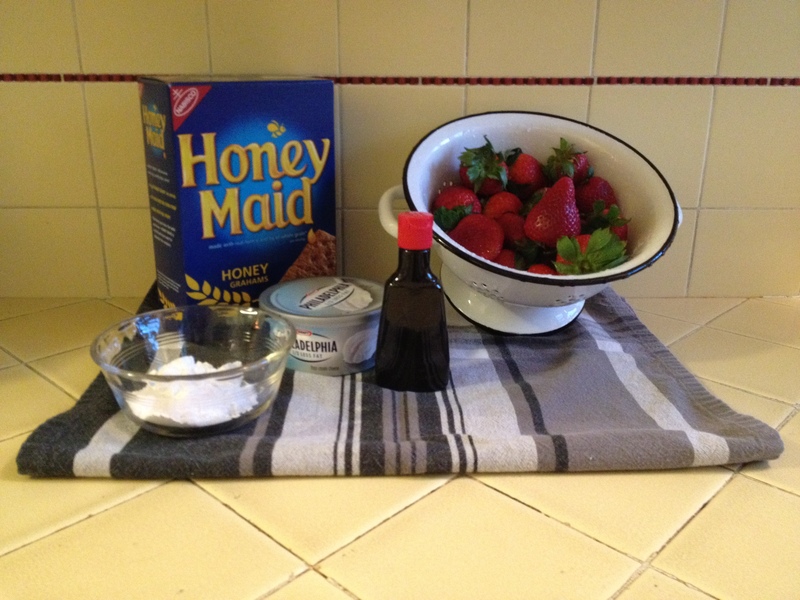 Once the strawberries are filled, dip the top in graham cracker crumbs. 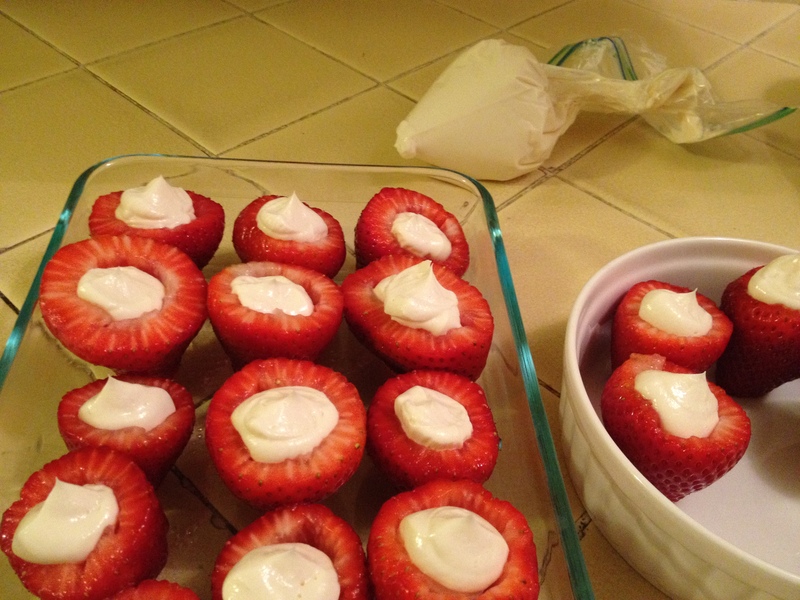 When you are done assembling your strawberries, cover and chill in the refrigerator before serving.